In the summer of 2000, a small Bible study group that met weekly at Crossroads Bible College decided to begin preparations to establish themselves as a church. In addition to Sunday meetings led by Elder Eric J. Hayes, Sr., the group formed a Church Constitution Committee and started brainstorming potential names for the church. In the fall of that year, the group voted to name the church Restoration Baptist Church, based on Scripture from the book of Acts. On March 4, 2001, Elder Hayes preached at the first service for the newly established Restoration Baptist Church in the sanctuary of Crossroads Bible College. On October 7 of that year, we officially installed Elder Hayes as Restoration’s pastor. As the the congregation began to grow in the following months, we relocated to different venues to accommodate our needs. 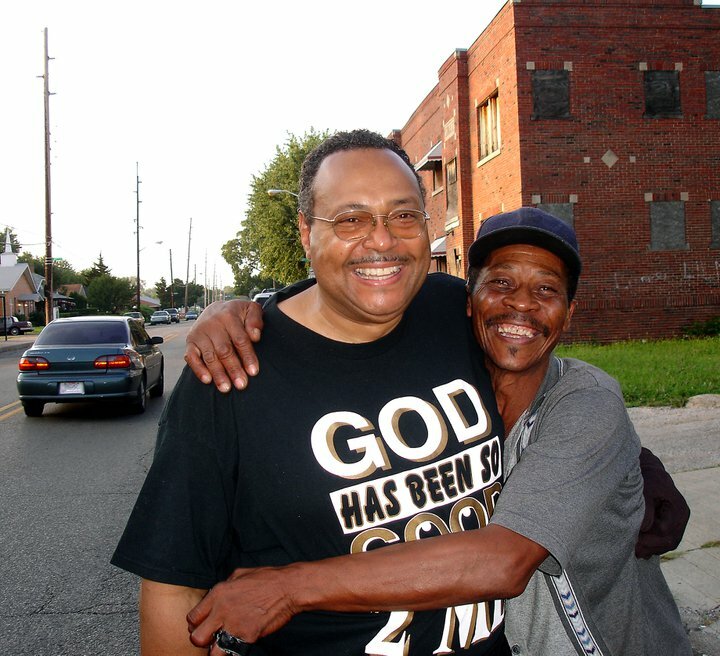 In 2002 we held services at Foxhill Elementary School and in subsequent years at the Jubilee Center. We also established a Building Fund Committee to start preparing to purchase our own building. 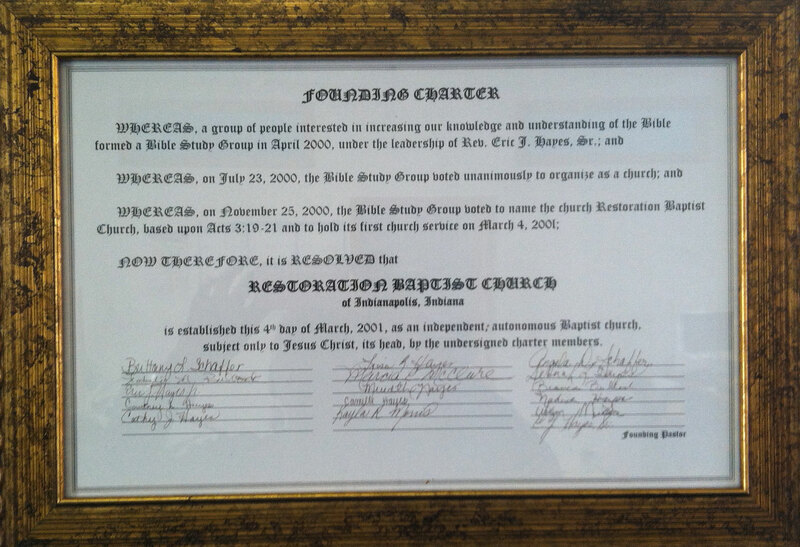 2003 was the beginning of one of our proudest moments as a church. It was the first year we held our primary community outreach effort, the annual Tent Revival, now called the Salvation Celebration. 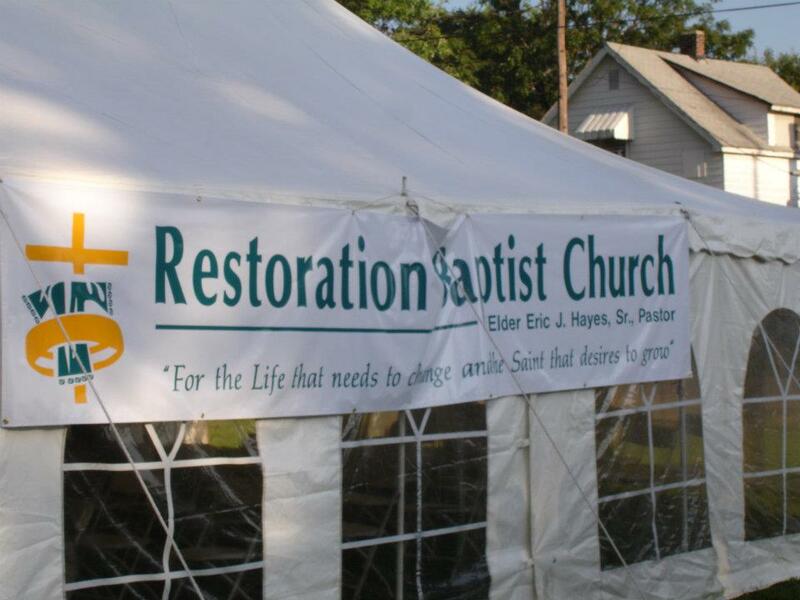 In its inaugural year the Tent Revival consisted of church services three nights of the week under a tent set up on the corner of Roache and Harding Streets. Since then, we have expanded the annual event to have services every week night, along with a free barbecue and school supply giveaway on Saturday, and Sunday morning service. After a two-year hiatus in 2013 and 2014, we expect to set up the tent once again in 2015 and serve our community. November 20, 2007 was a special day for us, as we got to see the fruit of our members’ and supporters’ commitment and God’s blessings. Our trustees and pastor signed the mortgage to our first and current church building at 1502 North New Jersey Street. We held our first service in our church home on March 2, 2008, celebrating our seventh church anniversary.